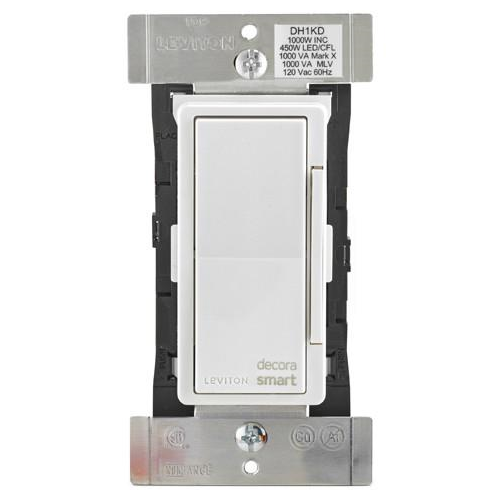 Leviton's Decora Smart HomeKit™ in wall dimmers offer both local control and have been specifically designed to work with the HomeKit support built in to your iPhone, iPad or iPod Touch. 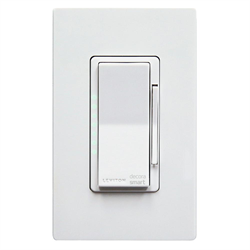 These dimmers have been specifically designed to work with today's low wattage dimmable LED bulbs with adjustable min/max levels and fade rates. Command your devices using your voice and Siri and have them work with other devices in the HomeKit ecosystem. The free Leviton app allows the user to adjust device specific settings, while Apple Home app provides a way to control devices and set up lighting scenes. No automation hub is required, however remote access and some advanced features or integration with other HomeKit devices will require a new version Apple TV.